This aromatic evergreen shrub or tree has greenish to reddish brown bark and can be up to 30 meters tall. The shiny smooth leaves are 3 to 10 cm long. 6 to 8 small yellow-green flowers are arranged in round inflorescences, and each flower has both female and male parts. The solitary fruits are 2 to 2.5 cm and resemble an olive. 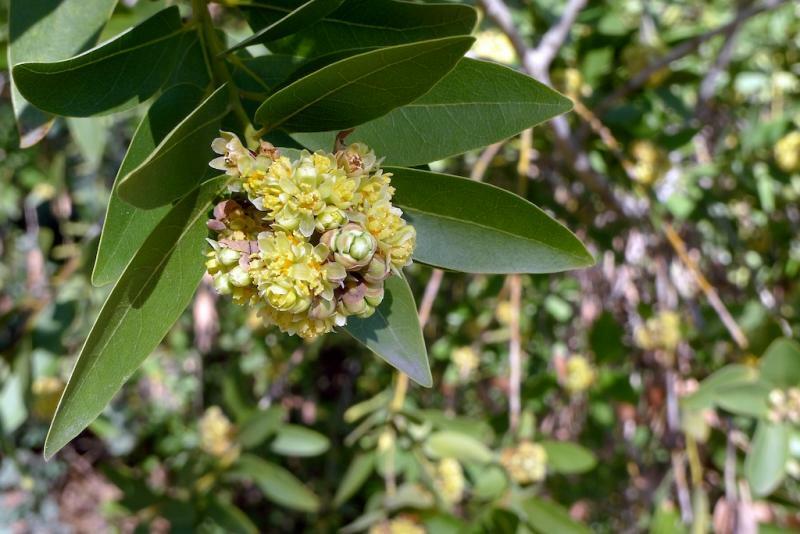 Download the USA-NPN datasheet for Umbellularia californica here. Download the CPP species profile for Umbellularia californica here.